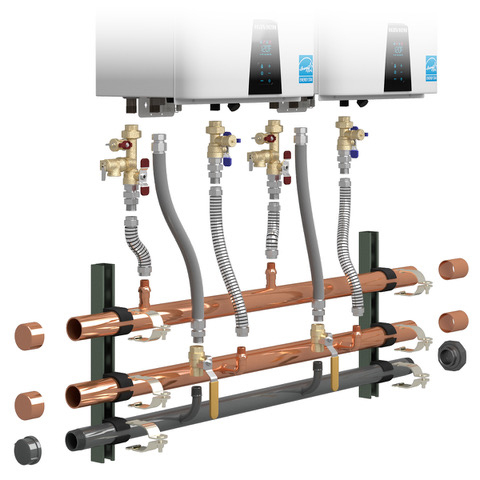 Navien Water Heating - Service Reps, Inc.
Navien’s condensing efficiency boasts one of the industry’s highest ratings of 0.99 energy factor. 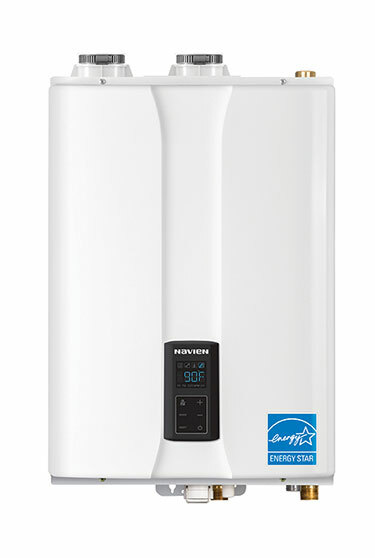 Customers can take advantage of the low annual operating costs and receive the best value and payback, compared with conventional tankless or tank-type water heaters. Need help choosing your boiler unit? Feel free to give us a call or for online selection help check out Navien’s CondensingSaves site below. This innovative accessory will make cascading up to 16 units in 2 banks of 8 easy for emergency same day replacements. The kits are Configured in 2, 3, and 4 side by side and 2, 4 back to back allowing for up to 16 units in 30 Configurations. Up to 2 kits can be combined as supplied to form a bank. These manifold accessories can be installed on the Ready-Link Rack (GFFMKDIZUS-001) and add-on (GFFMKDIZUS-002) or mounted directly onto a wall. If you choose to common vent the units, the common vent kit (30014367A) is required. Condensate neutralizers are available for up to 6 units (GXXX001324) and up to 16 units (GXXX001325). For detailed installation and operation information, refer to the Ready-Link Manifold installation manual and Specification sheet.